This is my second book for children that I have read this year and am adding it in for my Kidlit Read and Review Challenge over at Lost in books. 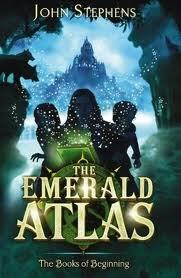 This is a first novel of a children’s fantasy series called ‘The Books of Beginning’ and aimed at 8 – 12 year olds. I guess I must have a 12 year old self in this thirty year old body somewhere as I loved this book! I have been going through a reading slump and just COULD NOT get into any book that I picked up and I have about 5 next to my bed, which are half read (MUST finish them at some point) and when I found this at the library – I often read children’s books when I have too much going on inside my head- and I picked it up on the Friday evening and was finished it by Sunday morning. It is readable, full of interesting characters, likable character and the world between worlds which I have always been fond of. Kate, Emma and Michael have been passed from orphanage to orphanage for 10 years but still believe that their parents are alive and will find them someday. Finally they are shipped off to another orphanage up in the mountains and what feels like in the middle of nowhere with some rather strange characters to contend with. They find a book, through a doorway which wasn’t there before and there starts the story of two worlds and how they may not feel remarkable in this one, but in the other, they are remarkable and have great destinies which they are not even aware off. Throughout the story more and more information is revealed, with a host of characters which really bring the story alive. The descriptions of the worlds really draw you in and beg the reader to ‘read just one more page’. What I like about this book is that it really is fantasy and in this first book there is no real ‘death. No body dies and I know that is a little unrealistic, but I really liked that aspect. There is a second book – The Fire Chronicle – which I plan to get my hands on as soon as I can and carry on reading about Kate, Emma and Michael. And I will let you know when I do! 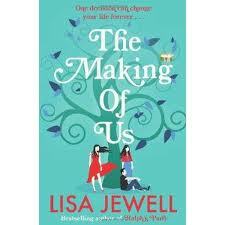 This was a lovely and light read and typical Lisa Jewell. 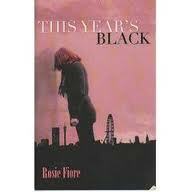 She is one of my favourite chic lit authors as her stories are delightful. This was a new to me SA author, and you all know how I love to find a really good SA author. And after reading this, I do have to say, that she hits my top ten. Read it, you won’t be disappointed and half way through there is a twist which without saying too much, but some woman may understand more than others…! Turns out she has another 3 novels, how exciting! Wonder Women, Lame Angel and Babies in Waiting. At first Tally doesn?t want to go to the boarding school called Delderton. But she soon discovers that it is a wonderful place where freedom and selfexpression are valued. This is a children’s book, more for tweens than teens which deals with the Second World War but in a completely different way than most War books are depicted. 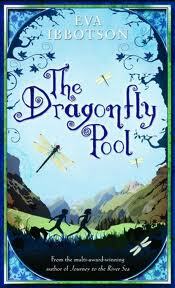 It has life, death, laughter and friendship all rolled into a delightful story. I really enjoyed it. 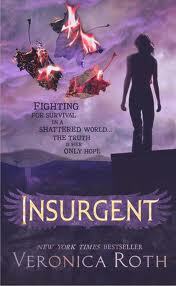 Divergent and Insurgent are part of a trilogy with the final installment due to be released this year. Yay, hopefully not too long to wait then! 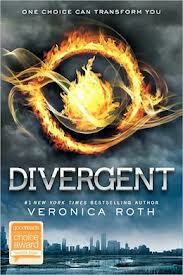 Very similar in vein to The Hunger Games, a dystopian young adult novel. I thoroughly enjoyed them, they are both highly readable with a good cast of characters. I did get annoyed with Tris – one of the main characters- but I can see how she needed to be that way in order for the rest of the story to make sense. 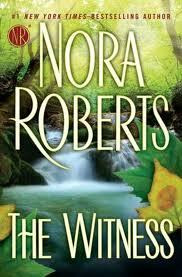 This is only my second Nora Roberts book that I have read. I have to admit to it being very easy to read and completely unputdownable. I loved the way her main character was described and the images that come across as you read it. Part thriller but mainly love story, if you haven’t read any of her before, give this one a go before you say Never! And that’s it! What did you read over the holidays?